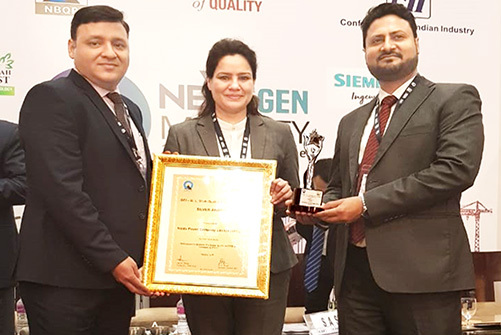 National Award for NPCL : Ministry of Power, Govt. of India awarded "Gold Shield” & “Silver Shield" to the company for its meritorious performance in rural distribution franchisees (VCP Project) for 2013-14. 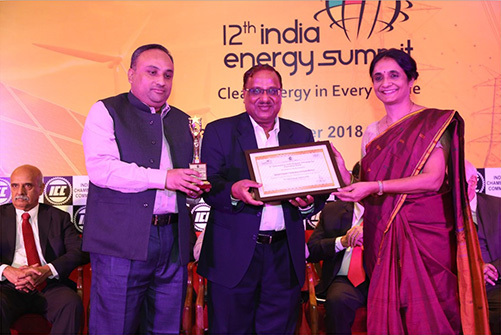 The Shields were handed over by Shri Piyush Goyal, Hon’ble Minister of State for Power (Independent Charge), Coal and New & Renewable Energy, Govt. of India to the Managing Director and CEO of NPCL, Mr. R C Agarwala in a function held at Vigyan Bhawan, New Delhi.